Mormon Wookiee: #91: The Star Wars Holiday Special. #91: The Star Wars Holiday Special. In 1977, Star Wars was released and has since been heralded as one of the greatest movies of all time. In 1978, the Star Wars Holiday Special was released and has since been heralded as one of the worst TV shows of all-time. It is impossible to find an official version of the holiday special today, because, well, there simply isn't one. George Lucas considers the holiday special to be one of his biggest regrets, even supposedly saying, "If I had the time and a sledgehammer, I would track down every copy of that show and smash it." In another interview with StaticMultimedia.com, he said, "The special from 1978 really didn't have much to do with us, you know. I can't remember what network it was on, but it was a thing that they did. We kind of let them do it. It was done by... I can't even remember who the group was, but they were variety TV guys. We let them use the characters and stuff and that probably wasn't the smartest thing to do, but you learn from those experiences." 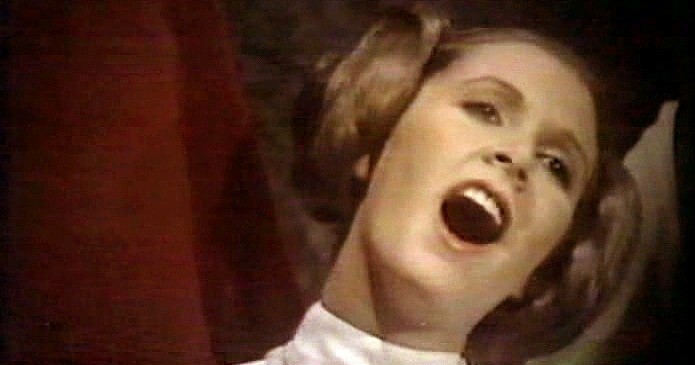 Princess Leia sings during the epic conclusion of the Star Wars Holiday Special. Fortunately, due to some wonderful people who recorded the special on VHS when it originally aired (the one and ONLY time it ever aired), the current generation of Star Wars fans now have the opportunity to watch it for themselves. It may be terrible, and it may not make sense, but just like Jar Jar Binks, it's a historical part of my favorite galaxy far, far away. I have embedded a copy of the holiday special from FilmGeek-TV at dailymotion.com below. Merry Christmas and happy "Wookiee Life Day"! The writer seems quite attached to the Star Wars genre as is reflected by their expressive writing style. The page is excellent, the yellow text contrasting against the black background is a common feature of the original Star Wars title. A must read for Star Wars fans. #90: Our New Adoption Blog.